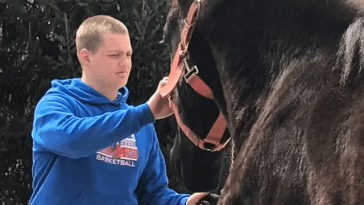 An American Paint horse named Smash may be deaf, but that hasn’t stopped him from playing an important role in his community. For the past few years, Smash has been an officer with the Houston Police Mounted Patrol. He attends high-profile events and patrols busy streets to protect the town he calls home. Not once has his disability held him back, and that’s partly because he has a dedicated support team always there to cheer him on. Smash was born deaf, but that didn’t stop him from becoming a successful show horse. He competed for several years, but when his offspring were also born deaf, it was decided the best thing for Smash would be to retire from the show world. But that didn’t mean he’d retire altogether. He was donated to the HPD Mounted Patrol where his disability actually works as an advantage. Most horses don’t do well with police work because they get spooked by loud sounds, but being deaf, Smash is always cool and confident on the job. When Smash isn’t on official duty, he spends his time at the HPD Mounted Patrol barn in Houston off Little York Road. The barn is always bustling with people, and many of them are volunteers that come to care for the horses. One of those volunteers is Katherine Richards. Katherine took an immediate liking to Smash. Katherine also has a disability, but like her buddy Smash, she refuses to let it get in her way. Smash seemed to recognize a kindred spirit in Katherine, and it wasn’t long until the two were best friends. 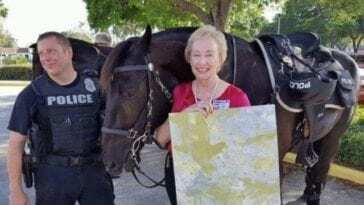 Katherine started going to the barn more often to spend time with her favorite horse, and she soon noticed Smash didn’t have a sponsor like most of the other police horses at the barn. The HPD Mounted Patrol sponsorship program provides much-needed funds to give the horses the care and attention they need. 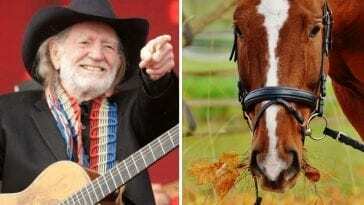 A person or organization chooses a horse to sponsor and covers the costs of that horse’s upkeep. Smash didn’t have a sponsor when he first got to the barn, but Katherine had a great idea. She decided to get a group of girls together that all have disabilities like Smash. 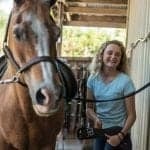 They call themselves the ‘Smash Girls,’ and together, they’ve been raising more than enough money to care for their favorite horse.
" Happy Friday, everyone! " 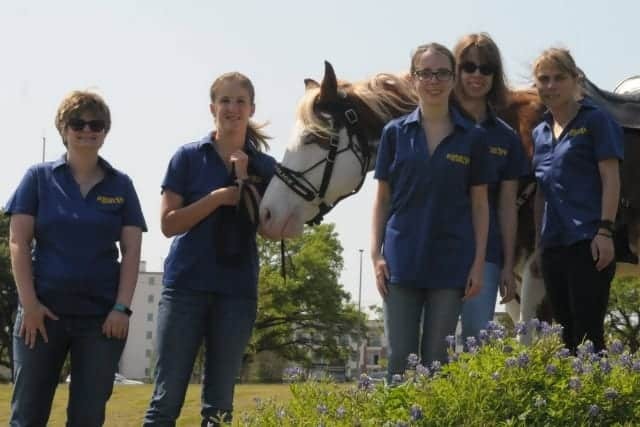 It costs about $5,000 a year to sponsor a Houston police horse, and the Smash Girls exceeded everyone’s expectations. In the first year alone, they raised double what they needed, and they presented the HPD Mounted Patrol with a check for $10,000 to cover Smash’s care for the next two years. They earned all of their money through bake sales and other fundraisers that the girls planned themselves. Together, Smash and his Smash Girls are spreading an important message that no one is defined by their disability. They’ve been an inspiration to countless others, and they even have a book encouraging people with disabilities to never give up on their dreams. The book is called “Team Smash, Five Amazing Girls. 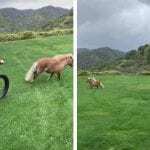 One Amazing Horse,” and it can be bought on Amazon. Part of the proceeds go toward sponsoring Smash’s care. Smash also has his own Facebook account and posts regular updates about his life as a deaf police horse.